Lincoln Children's Books, 9781845078331, 32pp. VALERIE DAVIES is a prolific natural history consultant and children's author. She has written many books for children including the Sounds of the Wild series.Annie Anderson plays an active business role in Heathcote Electronics. She did a degree in psychology, has run an advice centre for MIND and has worked as a lecturer in psychology in several UK colleges. Annie has drawn half of the diagrams in this book and has ensured that the technical jargon that it contains can be easily comprehended.SIMON HICKMOTT has been interested in growing plants since he was a boy, and has since made a career out of growing the weird and the wonderful. He worked at the Royal Botanic Gardens, Kew, in the tropical section, growing exotic plants under glass. He also run a seed library at the Henry Doubleday Research Association, growing and distributing hundreds of rare and endangered vegetable varieties. He was Raymond Blanc's Head Vegetable Gardener, producing diverse and high quality vegetables and herbs for his famous restaurant and hotel, Le Manoir Aux Quat' Saisons. For many years he ran his own company, Future Foods, growing and selling lesser-known edible plants by mail order. Most recently, he has been Head Gardener for a private estate.He is the author of Growing Unusual Vegetables: Weird & Wonderful Edible Plants and How to Grow Them, has contributed to the New Royal Horticultural Society Dictionary of Gardening, and for many years annually helped to compile The Fruit & Veg Finder, a directory of seed suppliers. A practical guide to growing all kinds of unusual plants - not the ordinary, good looking ones that most people choose to grow! 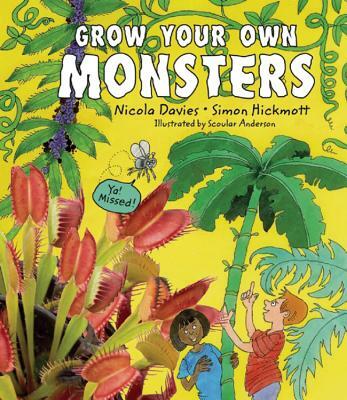 Voodoo Lilies, Venus Fly Traps, Squirting Cucumbers and Abyssinian Bananas are just some of the exotic and dramatic-looking plants that you can grow quite simply and some of them even indoors by following this book's instructions on planting and tending. Beyond the particular, the principles of home growing and the fun it gives are entertainingly introduced in this attractively illustrated book.